With an always-low 15-percent takeout, Saturday's carryover sequence will have an effective takeout of zero with up to $124,310 in the pool. This provides horseplayers with their ideal scenario – a large pool with zero or negative takeout. Saturday's sequence covers Races 2 – 6 and features fields with an average of 8.6 wagering interests. 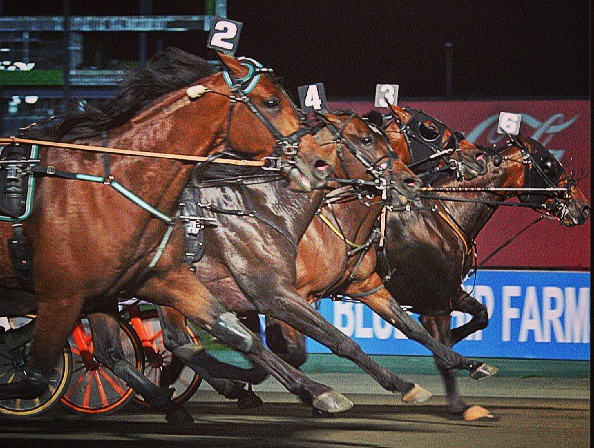 This entry was posted in Horseplayers and tagged Handicapping, Horse Racing, horseplayers, Meadowlands, meadowlands pick five, pick five, pick five carryover, takeout, Wagering by Press Release. Bookmark the permalink.